It’s been 12 years since two Americans fought for the US Men’s Clay Court Championship. Back in 2003 it was a generational battle as well between the top two seeds in the event, with soon-to-be 33 year-old Andre Agassi taking down 20 year-old Andy Roddick in three sets. It’s interesting to look back to 2003 and notice that both men would end the season with one Slam title (Australian Open for Agassi, US Open for Roddick), and three combined Masters 1000 titles (Miami for the veteran, Canada and Cincinnati for the youngster). Agassi would finish the year in the number 4 slot in the rankings, whereas Roddick ended up taking the very top spot. Fast forward to 2015, when the 8th seed, 27 year- old Sam Querrey, faces off against unseeded 22 year-old Jack Sock. The former is ranked just 4 spots ahead of the latter…but they’re both outside the top 40. This is Jack Sock’s first ATP final, whereas Querrey will be making his first appearance in a title match since Los Angeles in 2012. How things have changed, no? Here’s a detailed look at how these men have made their way to the Fayez Sarofim & Co. U.S. Men’s Clay Court Championship final, a journey which might hold the only clues about who could possibly take the title, given that the two Americans have never played an official match against each other (though, as you can guess, they’ve practiced together multiple times). The 22 year-old from Nebraska opened the tournament with the match that brought him the most adversity. Joao Souza not only was up a set on Sock, but had a break lead in the third before collapsing. Incidentally, that was the last time Jack Sock was broken in this tournament, saving all 10 break chances he’s faced since. I remember watching the beginning of that match and thinking that Souza would take it, given how out of sorts Sock looked, and how much better Souza was getting at returning the American’s serve. I left the premises, and was surprised to see Sock turned it around. That was the last time I missed a Jack Sock match. Sock’s forehand is getting a lot of good publicity. It looks like a nice stroke, and occasionally it produces shots that tilt points in his advantage. But it’s pretty much a perfect case study in the aesthetics vs shot quality debate. If you look at the way Sock hits the forehand, it looks very impressive. Lots of acceleration, even if he doesn’t necessarily gyrate his torso a great deal. There’s a nice sound to it, too. But if you focus on shot quality – pace, placement and depth – it’s more often than not a run-of-the-mill shot. There were so many times where Sock had ample time to set up for a short forehand and just couldn’t get a lot of pace or depth on the shot. It even seems like over-spins it quite a bit. It really wasn’t the forehand that caused RBA all that trouble – it was Sock’s very good kick serves that made him uncomfortable. Then there’s the issue of Sock’s backhand. More often than not, Sock just bunts that shot without much in the way of acceleration or spin. His torso is almost rigid when he hits it – there is none of that Djokovic trunk-rotation. In fact, there’s very little of the racquet head acceleration Sock puts on the forehand side. It’s a weak shot, but at least Sock was able to guide a few backhands down the line for easy winners when RBA was hell-bent on pounding the backhand with his inside out forehand. RBA was so, so poor. Beyond trying to force Sock into backhand errors, there didn’t seem to be a whole lot of ideas going for him out there. He had a lot of trouble returning Sock’s serve, and just seemed completely uncomfortable out there. I guess there’s a reason why he’s won way more hardcourt matches than clay matches in his life (though his two tour titles have come on grass and clay), both at the ATP and the challenger level. A lot of that sounds harsh, but I’m glad to have written it, since it gave me the chance to examine the rest of Sock’s matches against all of these observations. Sock’s next foe was Santiago Giraldo, the previous year’s semifinalist at the tournament. Giraldo probably deserves his own bit of words at some point, but I’ll limit what I say about him by simply stating that the Colombian played more or less the same tentative match Bautista Agut played against Sock. However, here’s where I will start praising Sock for a few good qualities he started showing. First of all, the American started to aim his forehands closer to the sideline, which, given his constant lack of depth, helped him create more effective shots to destabilize Giraldo. Also, the backhand down the line was used well, and executed better. Yes, Giraldo was mostly poor and lacked all sorts of confidence in the key moments (particularly in the 7 break points he created). All of that self-belief could be found within Sock, who even hit a couple of glorious GOLAZO lob winners. Finally, Sock faced Kevin Anderson, the number 3 seed, in the semifinals. A bit of context is needed to explain Kevin Anderson’s subdued performance. The previous day, Anderson and Chardy played one set plus three games into a second before rain interrupted proceedings for a few hours. Not long after play finally resumed, there was a power outage due to a surge. Anderson ended up serving for the match in the second and third sets, and failed both times. Somehow, he ended up winning the type of match he usually loses in a third set breaker. It was an emotional rollercoaster, as well as a logistical one. Simply put, Anderson didn’t present any kind of threat to a buoyant Sock. The American went unchallenged on serve (the only break point he faced was in the very last game of the match), and Anderson admitted later that he wasn’t as proactive as he needed to be. In a way, his passive play was reminiscent of what Sock faced in the previous two rounds. But unlike Bautista Agut and Giraldo, the South African actually had an excuse to be a “step slow” during his match. With all of that being said, Sock’s strengths, the serve and the forehand, have looked better and better, and the weaknesses, the backhand and the return of serve, have more than held their own. I think we’ve all seen players go through weeks where their limitations seem to vanish. Eventually that level proves unsustainable, so we’ll have to see what happens when Sock tries to make it in a tougher draw (say, in a Masters 1000) against better opposition. But at the same token, you can say that both Anderson and Bautista Agut are Top 16 players. So even if there are still questions about Sock’s game, this week (and this season, really) has seen the 22 year-old start to provide some answers. The Millionaire Matchmaker “star” had a short debut, given Marinko Matosevic’s retirement down 4-1 in the first set. 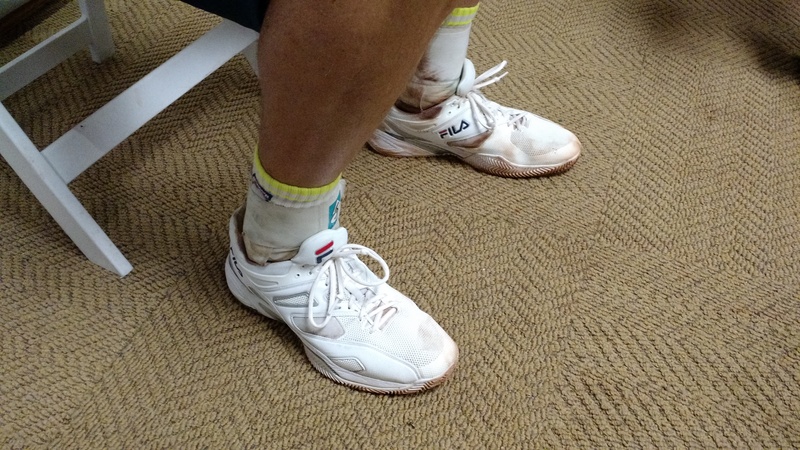 What I mostly remember from that match is that Querrey played it with hard court shoes. Up next came a rather odd encounter with fellow American and friend Steve Johnson. Sam blitzed Johnson in the first set, but the USC star showed some fight in the second, breaking Querrey twice on the way to forcing a decider. However, Johnson’s momentum vanished in a heartbeat, and the third set felt like it didn’t last much longer than the blink of an eye. I’m not exactly sure why Johnson’s confidence disappeared after going down a break early in the final set. After all, he had broken Querrey’s serve twice in the previous half an hour. At any rate, Sam did use the correct shoes this time, and marched on. 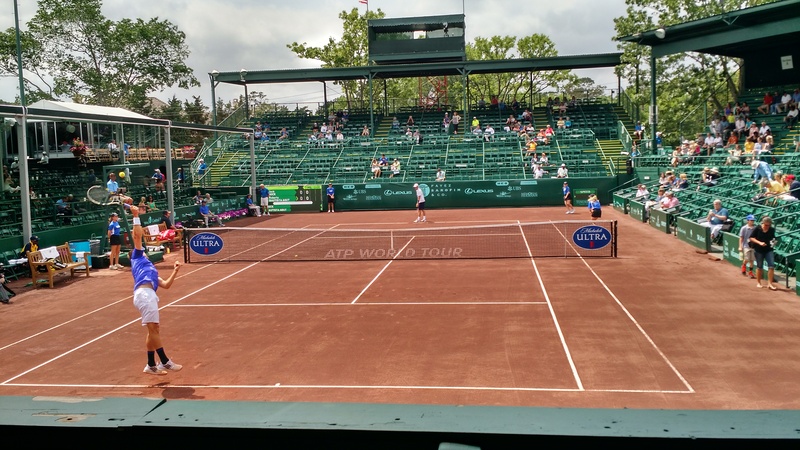 Querrey faced top seed Feliciano López sin the last singles match of that rainy Thursday that saw Sock-Giraldo moved out to Court 3 so that all matches could be finished at a reasonable time. López had dispatched Groth rather easily, and looked in control of the match against Querrey as he went up a break in the first set. However, it was all downhill from there for the Spaniard, who looked barely interested in prolonging his stay in Texas for much longer. I still remember the last López service game of the second set: an abomination of lazy errors that saw him broken at love without much involvement from his opponent. Soon after, the loaded slate of matches on Stadium Court was over before midnight – an outcome that seemed highly unlikely just a few hours before. However, Querrey’s best showing was against my (incorrect) pick for the title: defending champion Fernando Verdasco. Sam looked fully focused, and didn’t hang his head after Verdasco ran him over in the second set. Whereas Verdasco faltered in two key games that ended up costing him in Set 1 and Set 3, there was no such wobbles for Sam, who also had to overcome a tricky situation in the third set, when rain came down just as he got the early break lead. His composure in his following service game, which came after the 30 minute-or-so rain delay was the key to the victory: Sam overcame a 0-30 hole and seemingly endless deuces by relying on his strengths: a booming serve that frequently went above 135 mph, and that lovely forehand of his. I was also impressed by the way Sam covered the court and used his backhand to withstand the onslaught of lefty forehands from Verdasco. It was also remarkable how Sam just took it up a notch after surviving that 2-1 service game in the third and became untouchable on serve. What I saw from Querrey was glimpses of his best self, the kind of tennis that could take him back into the Top 20. Seems like ages ago, but this is the man who won four ATP titles in the 2010 season. Can he carry that form into the final? With Sam, we just don’t know. If you zoom out of the match-up, it becomes a bit evident that both players are more or less made out of the same mold: huge serves, huge forehands, iffy backhands, and questionable ability to defend and return serve. 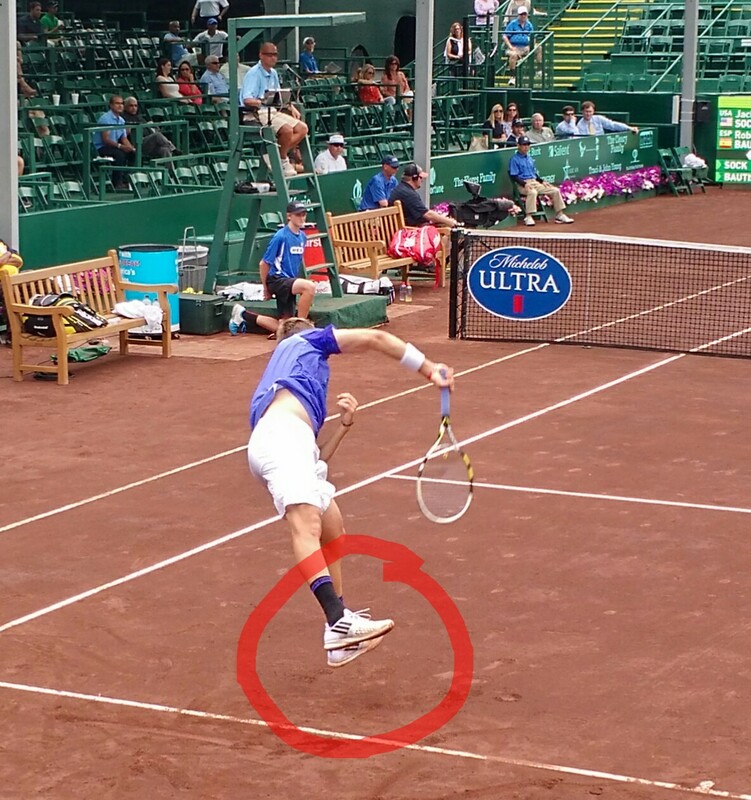 But if you look more closely, it becomes fairly evident that Querrey is a better version of Sock. The serve is bigger, the forehand is more potent and more consistently reliable in terms of creating depth. Sock, who is 3 inches shorter than Querrey, has the edge in movement, but I doubt we’ll see that many long rallies between them, given that the smart play (attack the poor defender) suits both of their games. Whoever gets half a look at an aggressive shot not only will take it, but should take it. This is Jack Sock’s first singles final, but he’s played a few huge doubles finals. It will be fascinating to see if those matches alongside Vasek Pospisil help him overcome the obvious gap in experience when we look at the 12 previous singles finals Sam Querrey has contested (one of them at this very tournament back in 2010, when Sam lost to Juan Ignacio Chela). I’m tempted to say that Querrey will be able to exploit the frequent lack of depth on Sock’s backhand and his forehand, but I’m also tempted to say that Sock will continue to look for good angles for his spinny forehand, thus forcing Sam to cover more distance and creating more space. It’s hard to figure out who will have the edge in returning: both men are slightly below-average returners, given neither has won more than 18% of return games in their careers, and Querrey barely edges ahead in return points won by 1% (35% to 34%). The only significant edge in return stats goes in Jack Sock’s favor, as he’s been able to convert 41% of break chances in his career, which is 4% higher than Sam. On paper, there should be very few chances to break, given how dominant both guys can be on serve. We’ll see who manages to make the most out of those rare chances, and it’ll be fascinating to see how each guy reacts to adversity. Sock’s dominant run after his first round match has seem him grow in confidence, fully intent of making this breakthrough. Sam’s progress has been slightly different, but the last we saw of him was quite encouraging. It should be an interesting match. 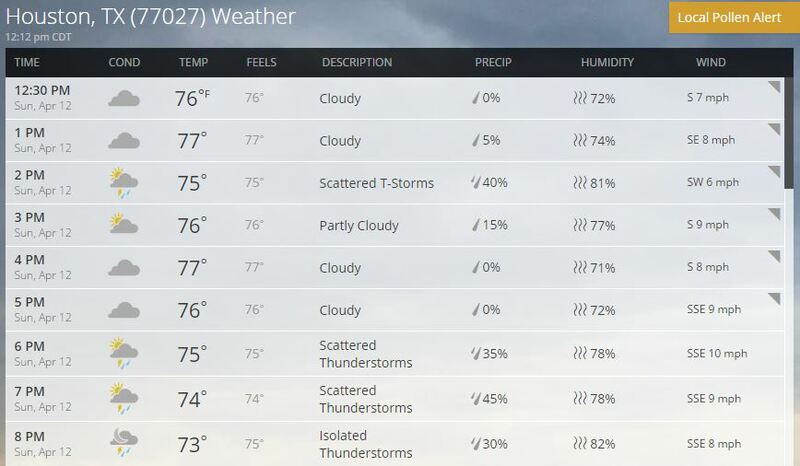 Let’s just hope the rain lets us enjoy it without too many interruptions.